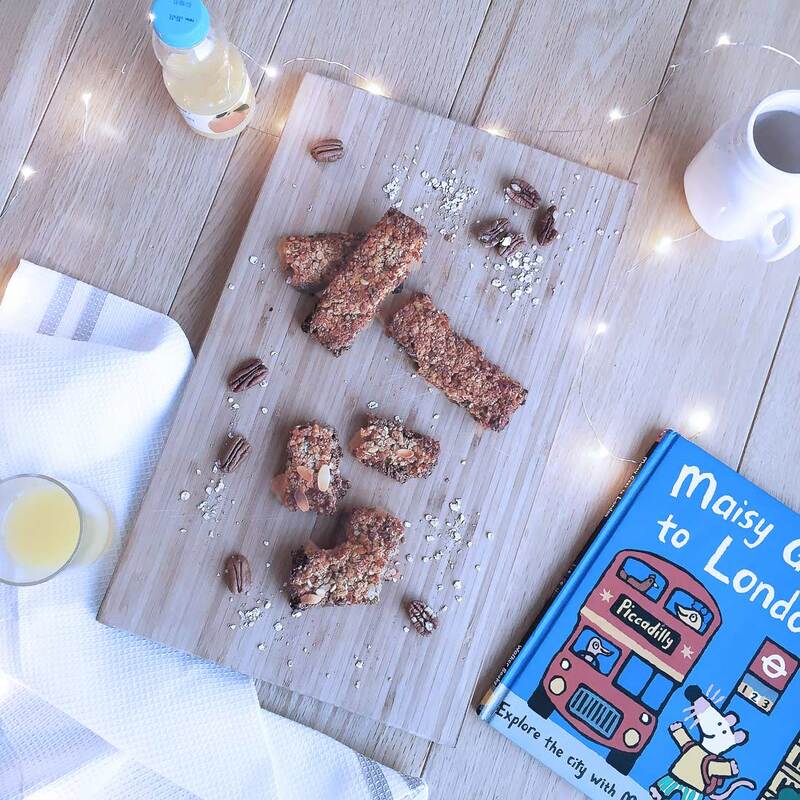 These soft homemade carrot and banana granola bars are easy and adaptable snack, perfect for a hungry toddler. 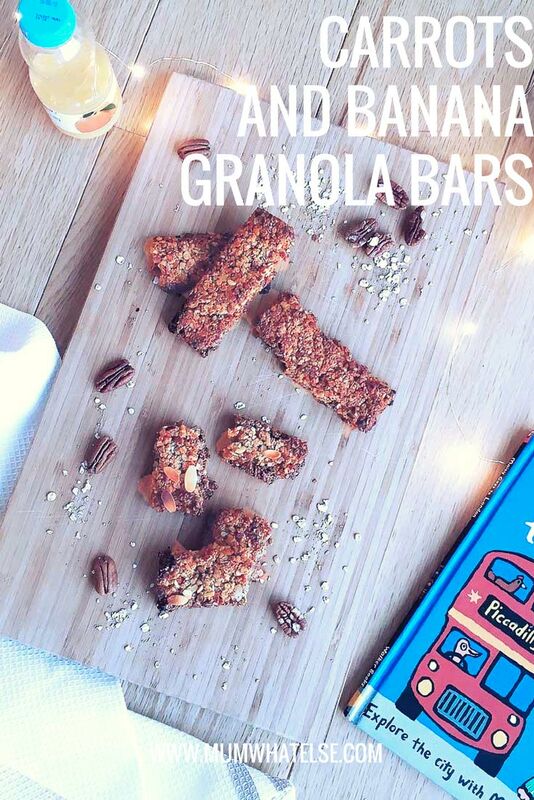 With oats, carrots, banana, nuts, flaked almonds, this bar is loaded with fiber and protein and lots of energy. When I pick up my son at the nursery, he has always been asking for a snack since a while. His teachers always tell me that he eat very well, but at home it’s a totally different story. Why do they behave in such a different way when outside home? At home it is rare that Andrea eats everything in his plate if not turned the screw on. So I am guessing how much he eats in a playful context as the nursery, where he has more fun things to do than eating. Anyway, when he asks for something, I try to propose some healthy snacks: I bring sliced ​​fruit (which he doesn’t always like), but sometimes I’m in a hurry and I bring some packaged snacks. Most of the time he wants oatmeal bars, organic with no sugar, which he likes a lot. 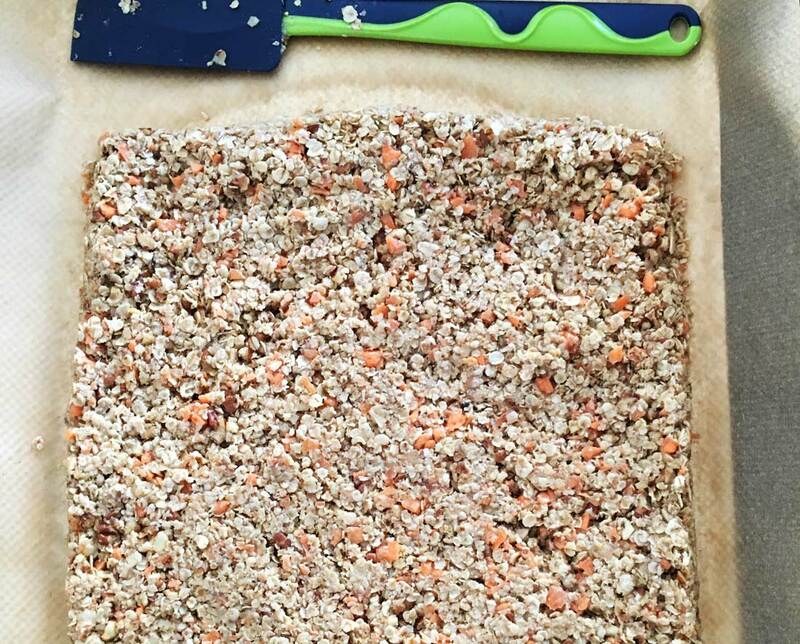 So the idea to prepare some homemade bar and one of his favorites is soft granola bars with carrots and banana. 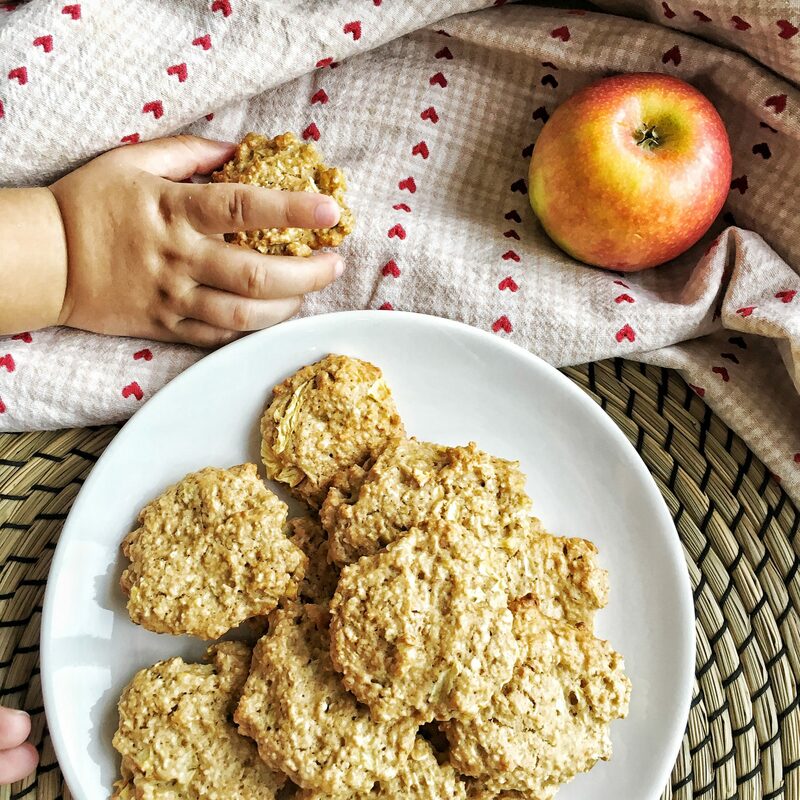 You may be interested in also these healthy biscuits. These gluten free and diary free cookies are simple to do. They are adaptable, you can replace coconut oil with another vegetable oil or the apple with a banana. 2. Line a large baking sheet with greaseproof paper. 3. 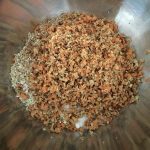 Coarsely chop the walnuts with a food processor and set aside. 4. Combine carrots, dried coconut and bananas into the robot and operate. 5. Add the banana and carrot purée to the walnuts in a bowl, then add the oats, cinnamon, mixed spices, maple syrup. 6. Pour the melted coconut oil. 7. Stir well and place on the pan. By using a knife, shape 12 rectangular bars of about 11×3 cm. 8. In a static oven for 30 min. Allow to cool and serve. You can store individually wrapped in plastic, or all together in an air-tight container for 3-4 days. 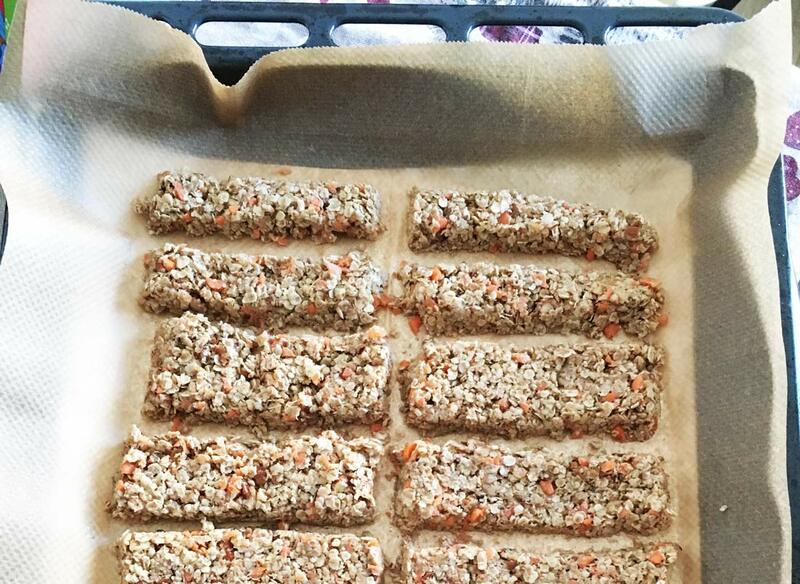 Healthy, soft homemade carrot and banana granola bars, ready for the lunchbox, snack or grab-and-go breakfast! You’re gonna love ’em! If you love oat, you me interested in also this recipe. 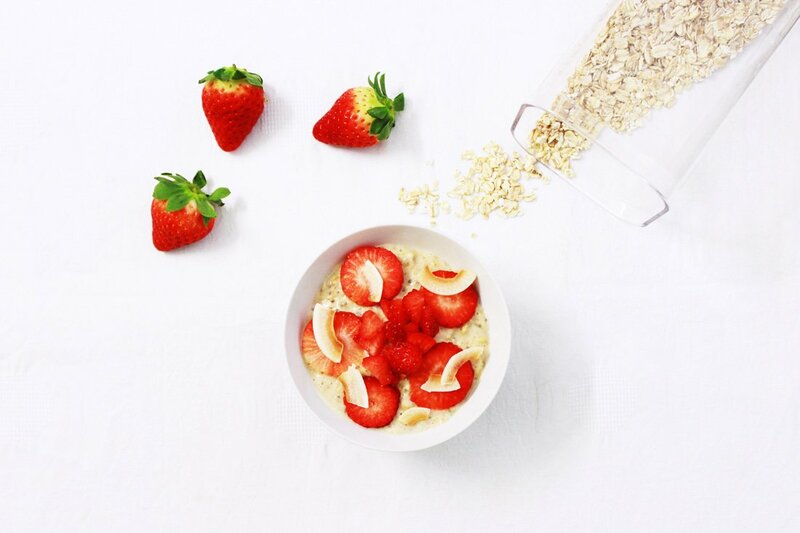 This no-cook breakfast porridge recipe can be made ahead of time and kept for several days Learn how to make it in only a matter of minutes. Simply grab a portion out of the fridge in the morning and enjoy anywhere that is convenient. You can Pint it the image and save it for later.